The final post-content expansion for Call of duty: Infinite Warfare has released for PC and Xbox One. Retribution, the fourth and final DLC pack for Call of Duty: Infinite Warefare was released last month for PlayStation 4. With the exclusivity period a done deal, PC and Xbox One players can now jump in. Along with four multiplayer maps, the last Zomies chapter, The Beast From Beyond, is included. We’ve provided you with information on the maps included before, but here’s the goods again just to save you a bit of clicking. 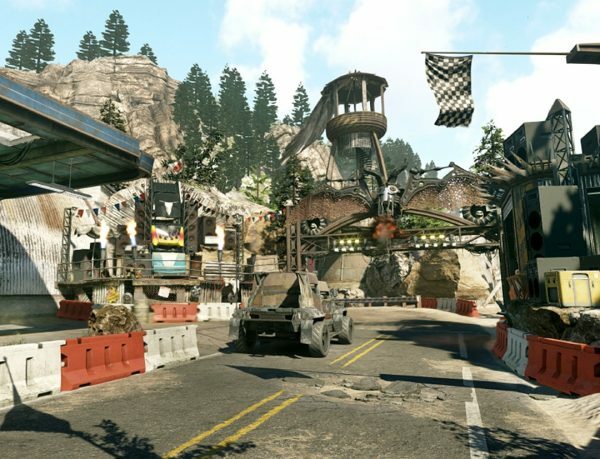 Carnage – A post-apocalyptic race track along the California coast, Carnage features long sightlines and environmental hazards including a fire trap players can activate on command to roast their enemies. Heartland – In Heartland, teams will go head-to-head in a simulation of small town America that is a re-imagining of the classic Call of Duty: Ghosts map, Warhawk. Players can pop into the local ice cream shop for a treat, and then take out enemies down the street with a Black Hole Generator. Altitude – Set in a high-end, sky high shopping mall located on the edges of the universe, Altitude pushes teams around a chaotic centre where quick flank routes are key to victory. Additional features include floating lush waterfalls that border the map. Depot 22 – Depot 22 is a watering hole at the end of civilization that focuses on mid-ranged encounters waged in a medium-sized, three-lane map. Players can battle in the cantina for close-quarter combat or engage with enemies wall-running off of a moving train. During the month of October, Call of Duty: Infinite Warfare players can participate in a special community celebration called “Willard Wyler’s Halloween Scream,” which features various content and giveaways. The festivities will last through November 1, unless noted. In order to acquire the Halloween Scream goodies, Call of Duty: Infinite Warfare players will need to log into multiplayer between Monday and Friday morning while online and visit the Quartermaster. Each week, the Supply Drop will be available between Monday morning and Friday morning, and cosmetic items will be available between Friday morning and Monday morning.